In a veiled attack on one of India's belligerent neighbours, Syed Akbaruddin added that some terror apologists will continue to provide alibis for terrorists and justify their actions or the government's inactions. 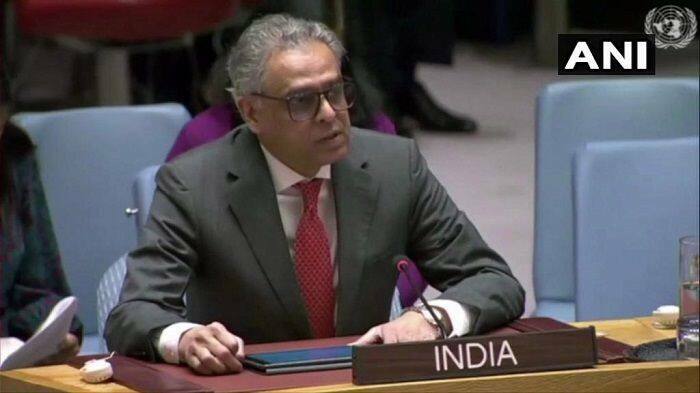 New Delhi: After the UN Security Council adopted a resolution that calls upon countries to prevent and counter financing of terrorism, India welcomed the “recognition in a resolution of essential role of financial action task force”. India on Thursday expressed disappointment at Pakistan’s response to its detailed dossier on terror organisation Jaish-e-Mohammed’s (JeM’s) complicity in the cross-border terror attack in Pulwama, the presence of its camps and the leadership in Pakistan. Hours after reports surfaced that Pakistani agencies were interrogating 54 people in connection to the Pulwama terror attack, Pakistan in a statement, said that it ‘examined’ all 22 pin locations shared by India but did not find any terror camps there. In a Foreign Office (FO) statement, Pakistan also extended an invitation to Indian investigating agencies to come and inspect these locations. On Wednesday, Pakistan had sought “more information/evidence” from India on the involvement of the JeM in the deadly Pulwama terror attack and the presence of camps of the UN-proscribed terror outfit in the country. Pakistan’s foreign secretary Tehmina Janjua shared the “preliminary findings” on the “Pulwama incident” with Indian High Commissioner Ajay Bisaria, stated Pakistan’s foreign office.